TAG Pet Rescue has been the store’s charity of the year. 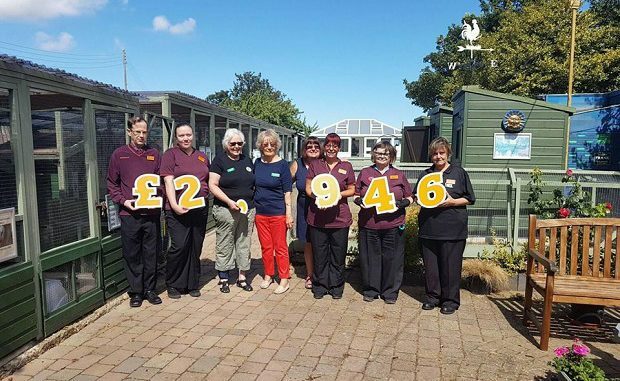 Customers and colleagues raised £2,946. Customers also donated enough pet pood to keep them going for a year. The Prostate Cancer Support Association Kent has been selected as the new “Charity of the Year” at Sainsbury’s, Westwood Cross. At a meeting in the store members of the association had an opportunity to talk to store staff about the valuable work it does and how the collections/outreach days at the store will help improve awareness and outcomes for men diagnosed with prostate cancer in the local area. The Prostate Cancer Support Association is a patient led organisation committed to supporting men and their partners whose lives have been affected by the disease. It meets monthly at the Kent and Canterbury Hospital Education Centre and meetings are relaxed and members share experiences, thoughts and suggestions about the treatment options. Newly diagnosed men and their partners find it particularly helpful to talk with individuals and couples. Some 50,000 men are diagnosed with prostate cancer each year. As well as the PCSA Kent holding collection and outreach days during the year Sainsbury’s staff are also helping in raising awareness of this disease and there are collection buckets at the end of the tills in the store. There are an estimated 200 people living in Thanet who were born with a cleft, and who would be eligible to participate in our survey and receive CLAPA’s services. 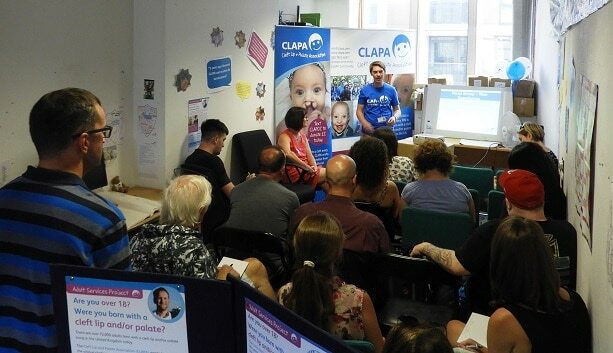 CLAPA is the only national charity supporting those living in the UK who are affected by cleft lip and palate. We are about 5 months into an exciting 3 year programme specifically targeted at identifying and responding to the unique experiences and needs of adults who were born with this condition. We are researching these needs in many different ways, including by running focus groups across the UK and by conducting our Adults Survey which opens this weekend after some months in the making. We’re very excited about this as it is the first time that such a study specifically targeting adults has been done anywhere in the world. However, with an estimated 72,000 adults in the UK over the age of 18 who were born with a cleft, as you can appreciate, reaching everyone is a huge challenge, as many people will not even know that support and healthcare is still available for them beyond the age of 18. Parkinson’s UK is inviting people in Thanet to join a wellbeing day on Saturday 1st September at St Philips Church, Margate anytime from 11am to 3pm to experience new activities and therapies that could improve your wellbeing. The free event is for anyone in the area who is affected by Parkinson’s, or is interested in learning more about the condition. Local people can try therapies including reflexology and reiki or join a mindfulness, yoga or tai chi session. As with all treatments for Parkinson’s, different things work for different people. So we encourage anyone affected by the condition who is interested in complementary therapies to explore what works for them. Janine Starling, Area Development Manager of Parkinson’s UK, said: “Every hour two people in the UK are told they have Parkinson’s, but at the moment there is no cure. There are 19,806 people living with the condition in the South East. 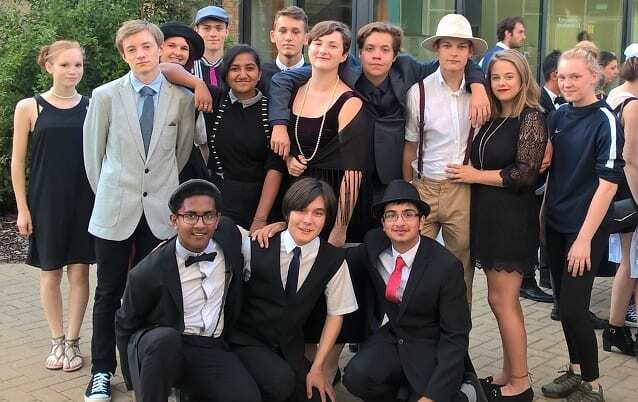 A group of Thanet teenagers have been raising funds and awareness for Oasis Domestic Abuse Service as part of a National Citizen Service project. The 13-strong group of 16 and 17-year-olds have taken part in a sponsored walk from Dreamland to Viking Bay and back, a sponsored cycle and a pub quiz. They are now in the process of recording a video that will raise awareness about domestic abuse which will be published online.